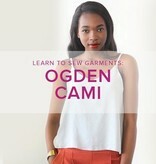 Learn to make a lovely, versatile top that will be a wardrobe staple. 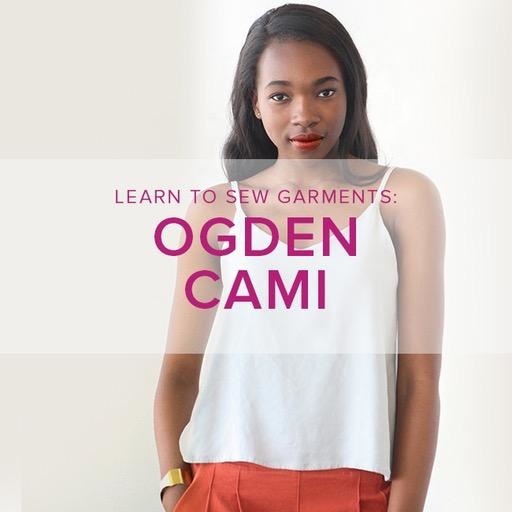 The Ogden Cami is a simple blouse that can either be worn on its own or as a layering piece under blazers and cardigans. It has a soft V neck at both center front and center back necklines, and delicate spaghetti straps. The neckline and armholes are finished with a partial lining for a beautiful, high end finish. We will go over simple finishing techniques as well as making a full or small bust adjustment as needed!